Publisher Description: Following his parents’ ugly divorce, Jake Oliver chooses to move with his father to a remote corner of Connecticut. It is bad enough that their new home turns out to be a fenced-in dump in the middle of nowhere, but it seems that the previous owner, his dad’s late Uncle Horace, had been the local crackpot ridiculed by the community for his belief that a Bigfoot roamed the vast woodland preserve that lay beyond the property. 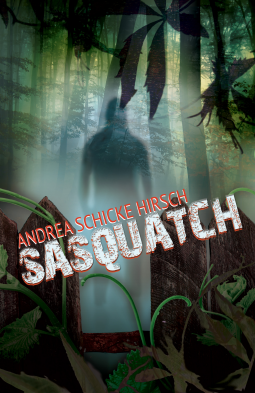 Review: I went into this thinking…”New author, YA, mythical creature……meh”. What I got was a talented writer a good story line and well developed characters. There was no insta-love, reluctant hero and clichéd characters that you find in most YA novels today. Jake was developed as a normal guy that is interested in girls, is ok looking (not sparkly) and wants to get proof of Sasquatch existing after a brief encounter. Nell is interested in Jake and vice versa until she knees him in the crotch during a mutual kissing affair. 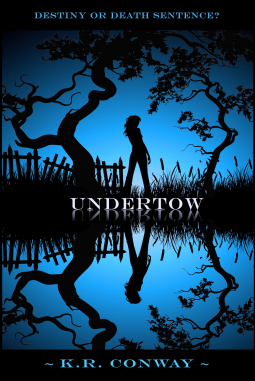 So not your typical YA rendition. Jake has familial problems as do most of the characters which creates a little tension. The adults are rendered mostly as either dependent, stupid, greedy, eccentric and egocentric. Which jibes with a lot of teens myopic perspectives on adults. So why you no give 5 stars? There was some padding here and there with back stories and some seemingly repetitive scenes. Jakes 14 year old sister is “really smart” yet behaves like an idiot most of the time. She is either getting drunk, dating the wrong “older” guy or learning Yeti sign language in a week and helping out at the library. She is at once extremely self-centered and then crying over making a mess of things for the people she loves. Buying it? Yeah, a little. I seem to recall being conflicted at that age but not insufferable. Despite my shjtpicking a good novel. Get it. 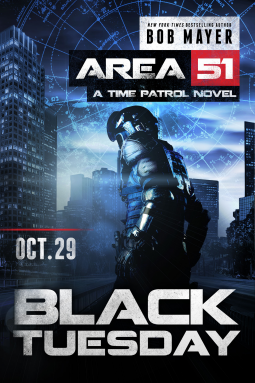 Publisher Description: When a mysterious force known only as the Shadow infiltrates history, it has a suspicious target: the date October 29 in six different years spanning 999 to 1980. The Time Patrol must send its highly skilled members into the past with only twenty-four hours to stop the destruction each time. 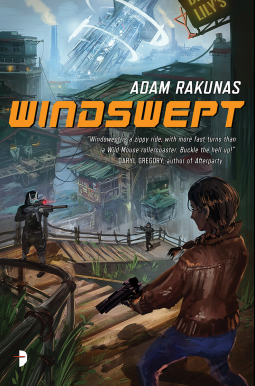 Review: This read like an old Doc Savage novel where you have 7 eclectic personalities, uniquely qualified to execute a planned strategy while being adaptable enough to overcome and improvise in any situation. Fug. Their banter is reminiscent of having been through many tough missions together but because of a lack of character development and story line, you feel like an outsider looking in. The funniest thing about the plot is that not one of these operatives know what the fug to do in the past. Should they stop whatever may happen or simply expedite what transpired in history to keep the status quo? How are they figuring that out? Gut feeling? Sense of smell? Following the goodness of their hearts? Every time they ask their leader, Dane, what to do he says “…Again, we don’t know. We have projected several possibilities….” Really? Another big hole in the plot was the unexplained acceptance of the time traveler. Are they taking over a resident body? Or is it that when they appear, the timeline has already adjusted for their presence? Who are the operatives in history and how do they know that a traveler from the future is coming? Since they are already there, why don’t they do the heavy lifting? How are they coincidentally there at pivotal moments? The “Time Palace” is never adequately explained to the characters or the reader. Its a “place” where people work on moments in history within their specific timeline. This also happens to be where they jump to the past, but never into the future. Why? Got me. There are Krakens, and Yetis and Nazi’s, OH MY! Every chapter has this annoying recap in history with the ending tag, “Some things change; some don’t.” Wow, mind blown. The characters lacked development and relied on the emotional and snarky for depth. While the movement was good, the characters continued to be shallow with patterned emotional responses. The story line has been over done and could have used a creative infusion. What we got was history that is not history and the meandering of characters stumbling over a confused story line. Jen Talty more than likely edited this one. Publisher Description: Eila Walker knows luck is not a friend, so she is downright shocked to inherit a million-dollar Cape Cod home. And yeah, her new town isn’t perfect: the cheerleaders are heinous clones, the local undertow can kill ya, and her Great Grams was supposedly fried by lightning in the harbor square. Still, Eila is hopeful her luckless days are in the past . . . until history decides to repeat itself. Review: This is my second foray into this authors world of make believe and continues to disappoint. The clichés are too numerous to detail. Here’s a few: hunky/sparkle over protective immortal/reluctant hero mired in his conflicted emotions, The “oh so Speshul” main character in a constant state of denial even when the facts are evident, The spit and vinegar BFF mechanic gurl friend and the usual assortment of evil- skinny- mean- hot cheerleaders and dumb drunk perving jocks. Not to forget the wise and knowing gypsy herbalist that everyone turns to for succor. The dialogue is rather stilted and filled with pages and pages of “Your’e Speshul”. “No, you’re mostest speshully-er”. The insta-love is at once cloying and nauseating. Blah. This author must have shlupped around in high school, burying all her angst and fears. What she purports seems to come from a jaundiced eye. The authors perceived YA social structure just doesn’t work and should reflect the current times. Can’t we render YA fiction/fantasy in a way that empowers the MC and delivers a strong supporting cast of unique individuals? Why make it obvious from the outset that Eila is super speshul and cast her in a supportive role to someone else. Read this while waiting for any kind of test result. Publisher Description: Welcome to the Apocalypse. 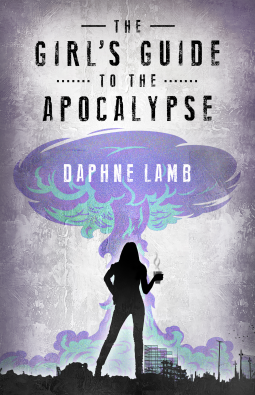 Your forecast includes acid rain, roving gangs and misplaced priorities, in this comedic take on the end of the world as we know it, from debut author Daphne Lamb. Review: This was a hilarious run of modern comedic satirical commentary. Sarcastically inventive, with an ongoing diatribe that pokes fun at the egocentric as is common to our era. Written from the viewpoint of a mildly disgruntled office worker that manages to avoid a viral plague and perhaps an atomic bomb. Verdell moves from one calamity to the next with false accusations and myopic narcissists following her everywhere. The post-apocalyptic cults run the gamut from cannibalism to the Soldiers of Anthrax and perhaps a cat urine drinking cult of Libertarians. The movement and character development were as good as it gets with satirical writing. Scene development lacked in some areas where you were sometimes left filling in the descriptive gaps. The story line was inventive, creative and a lot of fun. I hope this story continues as was hinted at. 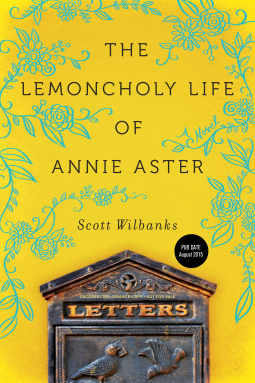 Publisher Description: Annabelle Aster doesn’t bow to convention—not even that of space and time—which makes the 1890s Kansas wheat field that has appeared in her modern-day San Francisco garden easy to accept. Even more exciting is Elsbeth, the truculent schoolmarm who sends Annie letters through the mysterious brass mailbox perched on the picket fence that now divides their two worlds. Review: Annie Aster stumbles upon a magic door and buys it (she knows not why). From there the turn of events pull you into a variegated colorful novel that imbues time travel and murder with a cast of well developed characters. As you know (or give a shjt), I can be one of the harshest critics so I am going to take a time out here and defend this novel against a reviewer that obviously skimmed relevant portions or cannot read English very well. This GR reviewer, let’s call her Jeanette or Duckface, itemizes the reasons the novel fails in her educated estimation. So lets take a look at her review! 1) “There was just so much going on in this book….as a result I kept forgetting characters and storylines……”. Well when you have the attention span of a gnat, you’re apt to lose focus now and then. No, really, how was this hard to follow? There are 5 or 6 characters that should be easy to track by counting your fingers on one hand and the story line is cogent and logical if YOU follow the novel to its conclusion. All of the characters are developed as to their past and individuality so it shouldn’t be that hard to pick them out of a crowd. Fug. 2) “I am just like Jane Austen-character-cliché.. write your own character lazy writers” The author makes it a point that he loves that era of writing and he imbues his character (Annie) with that same sense of awareness. Writing about a character that carries a bit of the late 19th century with her does not make her a Jane Austen character (early 19th century). “I think literature is creating all the wrong ideals for little girls…” WTF? Oh, so now you know what is best for young girls to read. So in Bulgaria the Jack Boots are hitting the streets to some insane interpretation of free speech? Maybe we should edit and censure anything you post since ascribing and labeling you as less than sincere in your efforts??? 3) “It is highly insulting that entire cultures where wiped-out and everyone who writes about the past acts like the continent of North America came to exist after it was colonized.” Who is this “everyone” of which you speak? Events transpire. Its called HISTORY, and people write about events in HISTORY. They also write about Native American cultures and those cultures still exist, albeit in different form. Insulting to who? You? Why would you be insulted? You live in fugging Bulgaria. Duckface contradicts herself by initially stating that “there were too many characters”, one of which was the Cherokee culture. Later in her vacuous rant she states, “….go a step back to the times of the Native Americans next time you write about time travel or simply about the past.” I thought that the author did, unless you read something of which I am not familiar. I will tell you one thing, Native Americans could give a shjt what a duckfaced Bulgarian thinks about their culture. “After reading just two books set in the 18th and 19th century America, it has become quite the burden for me. I find their lack of culture and abundance of foul language, poverty and cold demeanor almost repulsive. I don’t think I’ll be returning to any American literature from or set in the times before the 20th century. ” Oh poor baby! Do you need someone to lift the literary burden of HISTORY from your wittle shoulders? It almost sounds like you don’t like anything that may have a factual baseline. Ewwww, yucky poverty and foul language,.. just ewww. 4) “Mr Culler, he was a really bad antagonist. He failed completely to live up to his name.. I was expecting the real enemy to show up.” Huh? The dude cut off the pinkies of his victims while traipsing around with a split personality. He killed at the drop of a hat. In the opening scene he kills a street urchin. I guess just torturing people, first, with a subsequent intent to kill makes for a not good villain? I am turning off my rant now in order to adequately address this work. It was multi-layered, had great character development and wonderful movement. What made it most enjoyable was the really good writing. 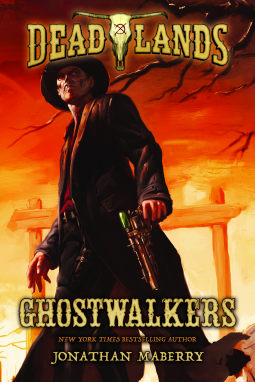 Publisher Description: Welcome to the Deadlands, where steely-eyed gunfighters rub shoulders with mad scientists and dark, unnatural forces. Where the Great Quake of 1868 has shattered California into a labyrinth of sea-flooded caverns . . . and a mysterious substance called “ghost rock” fuels exotic steampunk inventions as well as plenty of bloodshed and flying bullets. Review: This is my first foray into this prolific author’s world(s). The cover as well as the content are reminiscent of the Pulp Fiction genre only with a fantastical twist. The plot chugs along with constant action, not too deft repartee between the Grey Torrance and his sidekick, Tonto…..er, Looks Away. As they move through the story line there is a constant running dialogue on the who’s, why’s and how’s of Ghost Rock. The characters were fairly one dimensional, what with all the crazy fight scenes and creatures running about who has the time to develop any depth? Looks Away has a high English accent because he left for Europe when he was 20, which would never impart an accent unless you’re Madonna. Jenny is all spit and vinegar but hotter than a half-fugged fox in a February forest fire. Grey bangs her, of course, but its a sweet banging. I enjoyed the frivolousness of it and yet despised the constant Deus ex machina in almost every scene. Just when you think they are all done for, there is some miraculous event that saves them all. Grey is really into constantly bullying Looks Away and all the bad people are white, the good people are Spanish, Black or Indian and guns are bad etc. Read this at your wife’s sisters engagement party…..in a dark corner…with a cigar… and a Crown & Coke.